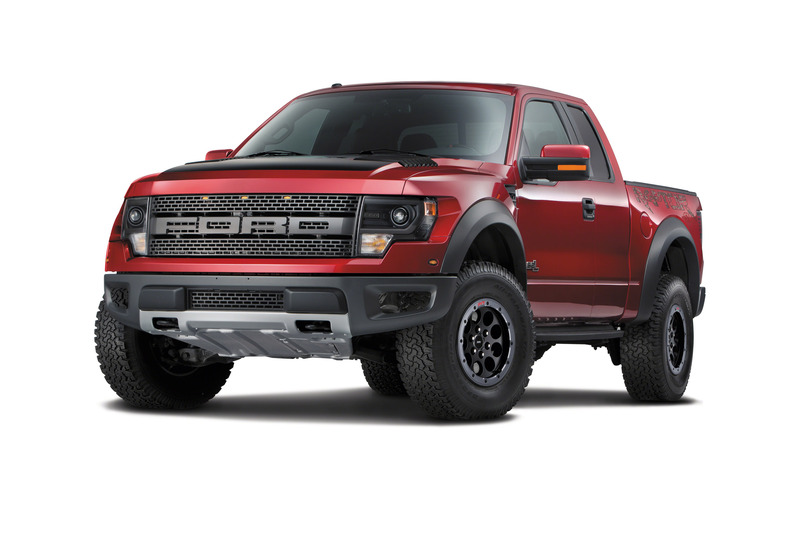 Ford revealed the 2014 F-150 SVT Raptor Special Edition, which adds unique new touches to Raptor's existing Luxury Package, including a Ruby Red Metallic exterior color and box-side graphics. 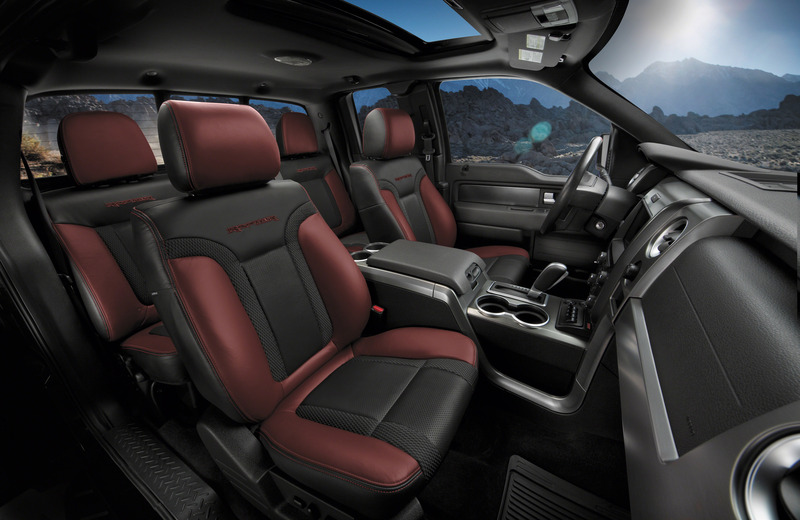 Interior upgrades include Brick Red seat bolsters with black inserts and cloth honeycomb highlights, console top finish panel, and center stack and door panel appliqué accents. 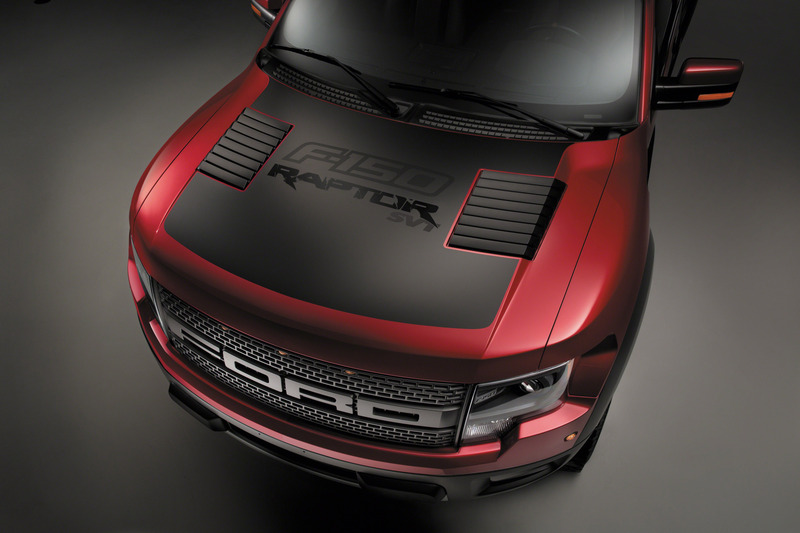 Raptor Special Edition is also available in Tuxedo Black Metallic. 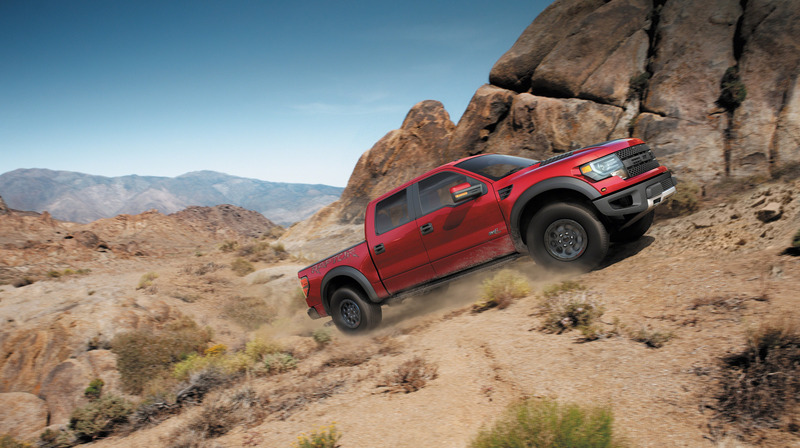 The 2014 F-150 SVT Raptor Special Edition goes on in the fall of 2013. "Raptor owners are looking for a high-performing, uncompromising off-road pickup truck with the features and luxuries found in today's premium trucks," said Doug Scott, Ford truck group marketing manager. "Since its launch in 2009, we've continually moved Raptor forward in capability and design, and the 2014 Special Edition is the best Raptor yet." 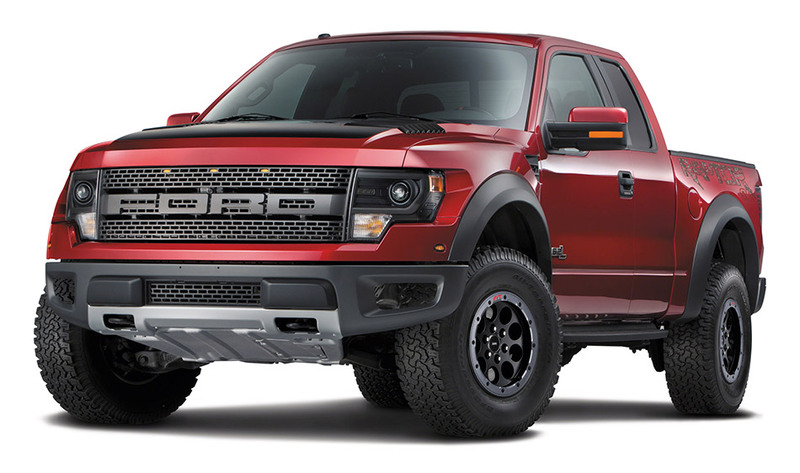 Raptor has found an enviable niche in full-size pickups. SVT Raptor sales are up 14 percent in 2013, with five out of the past six months seeing record sales. More than 13,000 Raptors were sold in 2012. Since launching as a 2010 model, the Ford F-150 SVT Raptor has set the benchmark for low- and high-speed off-road performance through aggressive all-terrain tires, industry-exclusive internal triple-bypass FOX Racing Shox™ dampers, skid plates and standard Hill Descent Control™. A Raptor development imperative has been continuous improvement, so Ford expanded Raptor's footprint for 2011 with a four-door SuperCrew model joining the two-door SuperCab original. For 2012 Ford began offering a grille-mounted camera to improve driver visibility when climbing over rocks or other obstacles. The 2012 addition of a Torsen® limited-slip differential to Raptor's 4WD system enables the truck to balance traction between both front wheels. For 2013 industry-exclusive beadlock-capable wheels were added to help increase grip in low-traction conditions, along with high-intensity discharge headlamps for improved visibility. SYNC® with MyFord Touch® was also made available for added connectivity. SVT Raptor is available exclusively with a 6.2-liter V8 engine producing best-in-class 411 horsepower and 434 lb.-ft. of torque, mated to an electronic six-speed automatic transmission with tow/haul mode and SelectShift Automatic® functionality. 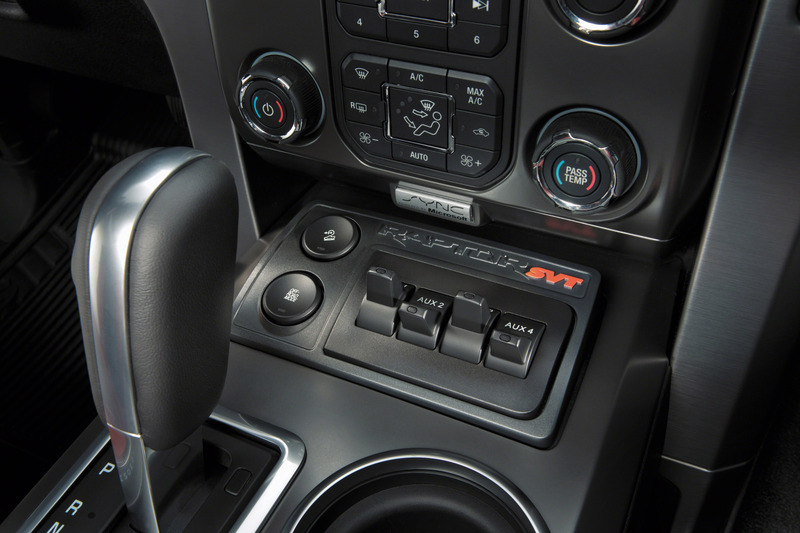 The 4WD system features electronic shift-on-the-fly capability for the transfer case. The front axle features a Torsen® differential with 4.10 to 1 gearing. The rear axle is also 4.10 to 1, with an electronic-locking differential.